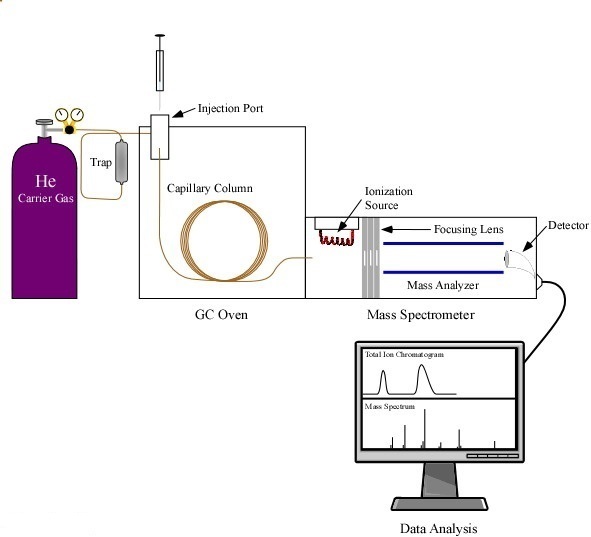 Gas Chromatography Mass Spectrometry (GC/MS) combines two powerful techniques to provide the identification of compounds with low detection limits and the potential for quantitative analysis. GC-MS analyses can work on liquid, gaseous and solid samples, but is primarily restricted to volatile and semi-volatile compounds. In Gas Chromatography (GC), a sample is volatilized and carried by an inert gas through a coated glass capillary column. The “stationary phase” is bonded to the interior of the column. The time it takes a specific compound to pass through the column to a detector is called its “retention time”, which can be used for identification when compared to a reference. In the usual Mass Spectrometry (MS) step of GC/MS, compounds leaving the GC column are fragmented by electron impact. The charged fragments are detected, and the subsequent spectrum obtained can be used to identify the molecule. Fragmentation patterns are reproducible, and can be used to produce quantitative measurements. 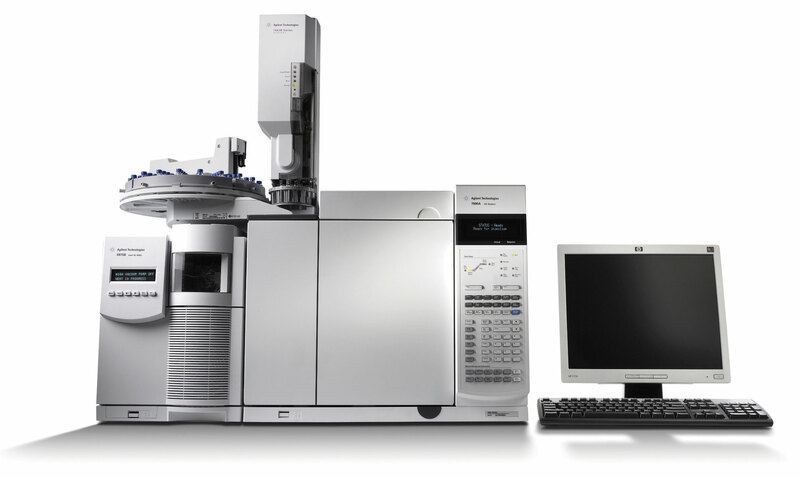 Gas Chromatography Mass Spectrometry analysis can be performed on liquids, gases or solids. For liquids and gases the sample is commonly directly injected into the GC. For solids, the analysis is carried out by solvent extraction, outgassing (desorption) or pyrolysis.